A 35-year-old senior IT executive walked into the office of Dr Ali Khwaja, a noted counsellor in Bangalore. His office, on a quiet street in Rabindranath Tagore Nagar, a mainly residential locality in North Bangalore, is no stranger to harried executives looking for some help. But to Dr Khwaja, this case appeared to be different from other executives in stress. After initial probing, it turned out that the executive had lost his job, but had not told his family about it. Every day was pretense. He would get dressed for work and leave home apparently for his office. Then he would walk the streets and idle away his day before heading back home after ‘a hard day at work’. “It took some intensive counselling for him to face the truth,” says Dr Khwaja, the founder of Banjara Academy, a counselling and career guidance centre. 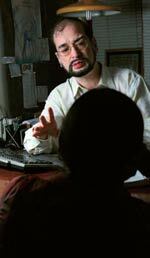 This senior IT pro finally came clean with his family and even got another, albeit lower paying, job. Over the last 12 months, Dr Khwaja and shrinks across the metropolises of India have seen a rapidly expanding stream of stressed executives queuing up to get counselled on stress reduction and their careers. “I have seen a 500 per cent increase in referrals over the past 12 months,” says Dr Khwaja. You could call them the Anxious Inc. They come from a cross-section of men and women at various stages of planning, improving or changing their careers. They include managers, professionals and young graduates and an increasing number of the unemployed, selfemployed, and in the times of dwindling jobs, mis-employed. And yes, they are all battling the phantom of psychosomatic disorders. Little surprise then, the spurt in individuals seeking professional help to get over depression and stress has been the worst since the Harshad Mehta downfall or the Ketan Parekh scandal in 2001, according to Dr Harish Shetty, Psychiatrist at Dr L.H. Hiranandani Hospital in Mumbai. The young workforce of India never had it so good: soaring salaries amidst a war for talent and the world at their feet till the tsunami of slowdown swept away their careers and handed a ruthless reality check in 2008. Never before were the youngsters mollycoddled like they were in IT and ITES industries. Sure enough, the same industries account for a high number of “slowdown victims”. 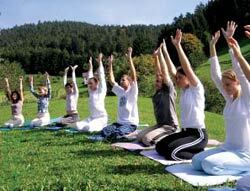 More and more professionals are taking recourse to alternative therapies such as Art of Living. Dr V. Karpagam, 29, a psychiatrist in Chennai’s IT corridor, is increasingly being consulted by youngsters and freshers mostly in the IT profession. “I see a 10-15 per cent increase in the number of freshers and single professionals in the age group of 25-30—the kind of people who joined at high salaries and are suddenly facing the possibility of a layoff,” she says. According to her, not only are depression symptoms increasing, more people have severe anxiety leading to insomnia, palpitations, increased smoking and drinking. Recently, a patient of hers with all of two-and-a-half years of experience attempted suicide because he felt that in his appraisal he had not been ‘recognised’ and only ‘criticised’ despite good effort. He was fortunately saved and Karpagam advised him to look at life beyond the present work environment. His treatment involved drugs to combat depression, breathing techniques and sleep hygiene measures followed by counselling. The intangible fears of the slowdown have turned the family lives of these young couples on their head. Dr Sabyasachi Mitra, a Consultant Neuro-Psychiatrist in Kolkata who also runs his own Mind and Mood Clinic, cites the case of a young couple working in Salt Lake’s IT belt, earning between them Rs 2.5 lakh a month. They worked hard—and played hard. Dining out, pubbing and partying every weekend, designer clothes and an upscale apartment in New Alipur. Then, the slowdown struck. First, the husband heard talk of redundancies in his company and shifted job to a lower-paying one. A few months later, the wife lost her job. Married for barely six or seven months and unable to pay the rent, they were forced to let go of the flat. The wife went back to her parents, the husband to his. Each of them faced immense criticism from their respective families. The husband began suffering from anxiety and had attacks of palpitation. Dr Mitra sent them to marriage counsellors and clinical psychologists. But things became worse and they ended up going to separate counsellors and finally filed for divorce. 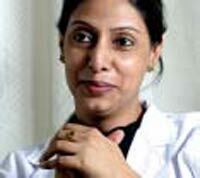 Dr Mitra has seen a 20 per cent rise in cases in recent months. “The positive aspect of this is that it is reality testing. These people are realising that anything that goes up has to come down. This generation will emerge much tougher and resilient. In addition to these youngsters, scores of mid-level executives are arguably the worst victims of the slowdown. A. Vishwanathan (name changed), an IIT-IIM graduate, married with two children, worked with a foreign bank in Mumbai for 20 years. A few months ago, he was laid off. What followed was terrible depression, immense anger and a feeling of helplessness. Says Dr Anjali Chhabria, a Consultant and Psychiatrist, who helped him regain his confidence: “Most individuals seeking help are in the age group of 30 years to 50 years. Most are first-time patients and are approaching the therapist on their own. Companies are not doing much to help their employees.” At the peak of their career, executives like Vishwanathan are mere bystanders as economic slump sends their careers and family lives into a terrifying tizzy. Kolkata-based clinical psychologist Sharmistha Mukherjee believes the most-affected are those in their late-40s and mid-50s, and those who have retired and hung up their boots. Those in their 40s-50s are at the peak of their career, but they are inflexible, have a set way of thinking. Their biggest worry is adjusting to the new environment, to the new standard of living if they are laid off. “For the retired, the shock is over seeing their retirement planning go haywire,” Mukherjee adds. Back in 1994, when the UK was in the middle of a recession, a term had been coined—recession fatigue—to depict the mass effect of high stress and social insecurity. Are we seeing something akin in the present slowdown? “The most common cases I am getting relate to anxiety and anger. Anger is then replaced by a sense of helplessness— when you can’t do anything. This helplessness is associated to frustration. Subsequently, there is depression and then, very high levels of depression,” says Mukherjee. Not just layoffs, the chronic stress of the slowdown itself is debilitating mindsets across workplaces. In Mumbai, Dr Shetty came across a senior executive who had to sack more than 50 people from his outfit. He suffered from excessive guilt as each one of them was his friend. Their spouses made strong pleas to take them back, causing more anxiety to him. His creative energies appeared dead as he was paralyzed emotionally. Though his family and friends were very helpful, the feelings of “helplessness” and “hopelessness” kept haunting him. Dr E .S. Krishnamoorthy, Chennai-based psychiatrist with clients from diverse industries, is vociferous about the mismatch between expectations and reality among patients. The most common complaint his patients have is the ‘Pink Slip anxiety’. One executive complained his boss had become a ‘different’ man suddenly and he was unable to cope with the pressure. Yet another said, he was slow at processing information compared to his peers and all attempts to scale up performance were leading to botched results. Krishnamoorthy helps such people find the ‘locus of control’ within—removing fears, teaching them through counselling, proper communication management, time management, and the art of making themselves important to the organisation. Besides turning to shrinks, executives are cosying up to alternative healers. “We have seen enrolments increase from 2,500 last year to over 4,000 already this year,” says Ramesh Raman, CEO of Apex, the corporate initiative from Art of Living. The outfit, which counts Tata Capital, L&T, Google and Shell India, among others, as its clients, says it will double its turnover this year and even take its programmes global. After working for 22 years, S. Swaminathan, Senior VP, Legal, for HDFC Standard Life, has seen his fair share of slowdowns, but he says the current one is perhaps the worst he has had to work through. “There is stress at every level in the organisation,” he admits, “You have to learn to manage it and not get bogged down.” His recipe for coping is seven or eight programmes organised by Apex and the Art of Living Foundation and using learnings from these programmes to try to balance out some of the stress he experiences. “I have tried to encourage more people, especially those in highstress areas such as sales to more proactively manage stress,” he says. Personally, he’s looking forward to taking a few days off sometime soon to recharge his batteries. 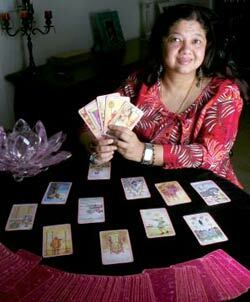 Not just therapists, Gurgaonbased tarot card reader Archna Shukla has seen a sharp surge in her clientele coming to her with downturn-related queries in the last six months. “Half the problem gets solved once people want to talk about it. Usually, people going through tough times are in a denial mode,” says Shukla, who claims to have an accuracy rate of over 60 per cent. Alternative therapies like ayurveda are equally sought-after. Says Dr Krishnavarma, MD, Chennai-based Shree Varma Health & Spirituality Foundation: “We find a 15 per cent increase in patients, who invariably come with stress-induced diabetes and hypertension.” The foundation runs a ‘spa’ like institute complete with ayurvedic medicines, yoga, varma (a form of acupressure), meditation, and panchkarma. By all accounts, healing in the midst of the downturn has taken on a multi-dimensional meaning with executives seeking solace in shrinks, therapists of all hues, spirituality and religion. Whether that helps them slowdown-proof their lives will depend largely on how fast the economy itself heals.